In a small bowl, whisk together honey, oil, garlic, ginger, pepper and salt until combined. Score the ham diagonally to create a diamond pattern. Brush the glaze on liberally. Cover the ham with aluminum foil and roast until the internal temperature reaches 140F, approximately 3 hours. Remove the foil and continue roasting for another 10 to 12 minutes until golden brown. 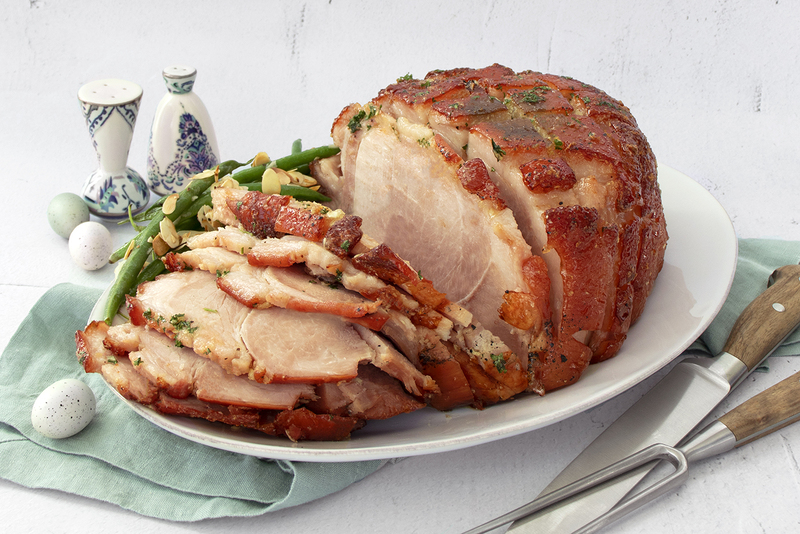 Remove ham from the oven and let rest a few minutes before carving.